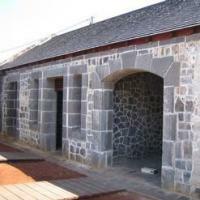 The Immigration Depot (Hindi: Aapravasi Ghat) is a building complex located in Port Louis, on the Indian Ocean island of Mauritius, which was the first British colony to receive indentured, or contracted, labor workforce from India. From 1849 to 1923, half a million Indian indentured labourers passed through the Immigration Depot, to be eventually transported to plantations throughout the British Empire. The large-scale migration of the laborers left an indelible mark on the societies of many former British colonies, with Indians constituting a substantial proportion of their national populations.In Mauritius alone, 68 percent of the current total population has Indian forebearers. 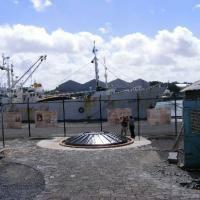 The Immigration Depot has thus become an important reference point in the history and cultural identity of Mauritius.